Spring Break season is just around the corner and while many of us can look back on the wild and crazy escapades of spring breaks past, that does not mean we need to stop celebrating the coming of spring and summer. 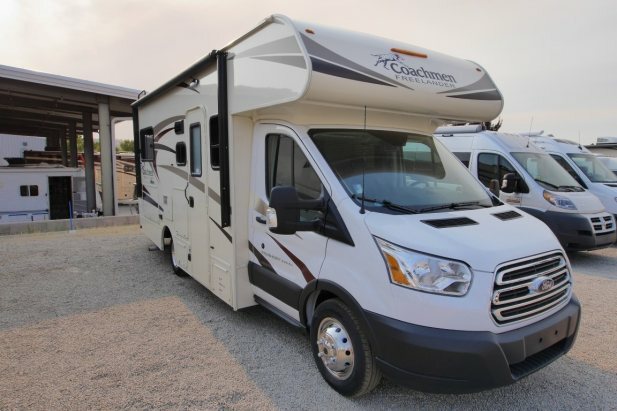 As a leader of RV rentals in Los Angeles, Expedition Motorhomes is well versed in the spring break road trip game. While the days of staying out partying until the sun comes up may be in your past, that doesn’t mean you cannot enjoy a good beer while on break. This spring, check out some of California’s top breweries while on your road trip. The below three breweries all boast beers rated at 100 on Beeradvocate.com and fill out the current top four beers being brewed in our state. Russian River Brewing Company, located in Santa Rosa just north of San Francisco, is home to two of the top four California brews on Beer Advocate. While Pliny the Elder and Pliny the Younger put this brewery on the map, the beers at Russian River average over 4 out of 5 on the website’s scale. If you happen to be driving north up the California Coast this spring and are heading as far north as San Francisco, do yourself a favor and stretch that road trip a bit further to taste some of the best microbrews in all of The Golden State. Before taking off on your RV rentals Los Angeles road trip, or perhaps in celebration upon return, be sure to swing by Bottle Logic Brewing in California. This brewery has made a name for itself through its creative take on micro beer. Of note is Fundamental Observation – an Imperial Stout aged in bourbon barrels and created with Madagascar vanilla beans. This beer has earned a 100 on Beer Advocate and is a favorite of anyone familiar with Bottle Logic Brewing. Given its proximity to Expedition Motorhomes, a visit to this local microbrewery is an absolute must. If you plan to head south from Expedition Motorhomes on your Spring Break road trip, you would be remiss to not try some of the area’s local beer. Notably, AleSmith Brewing Company’s Speedway Stout, a Vietnamese coffee flavored and bourbon barrel aged brew, comes in as Beer Advocate’s number four Californian beer. Stone Brewing Company, Ballast Point Brewing Company, and countless other local breweries also call Southern California home. Each one is bringing cool and unique things to the microbrewery world, and it won’t take long for you to find your favorite! California is full of delicious and, oftentimes, world-class microbreweries, and a Spring Break road trip is the perfect opportunity to pay some of them a visit. If one of the above doesn’t quite fit into your itinerary, check out the complete list of top California beers here: https://www.beeradvocate.com/lists/state/ca/. Then, check in with Expedition Motorhomes to reserve your rental RV today and start piecing together your unforgettable spring getaway.